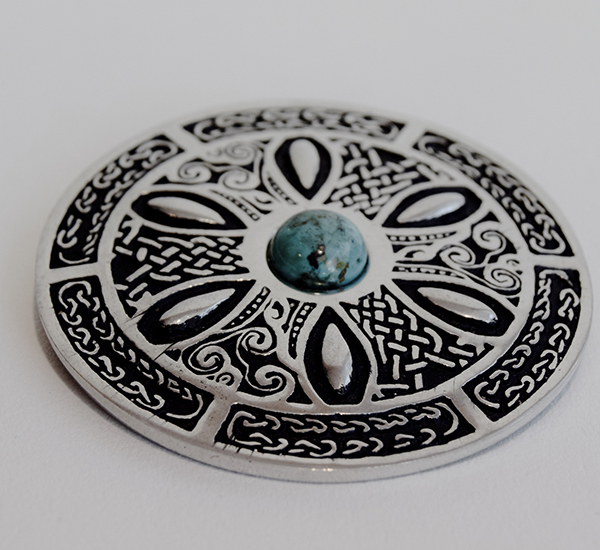 The large Celtic Wheel Brooch crafted from solid pewter with added gemstone makes a wonderful statement piece! 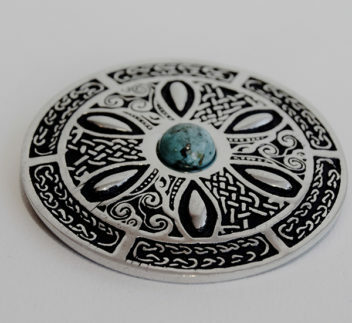 Fine example of interlacing knotwork,representing the continuity of life and the bond between the soul and the world. Presented in a velvet lined black gift box. Approx size 5cm (2″) diameter.